We work with a range of partners to drive change towards a cleaner and more sustainable future. We see the strength in relationships and are very proud of the inspiring businesses and organisations that support us in our mission to tackle plastic pollution. We form partnerships with businesses that care about impact, innovation and working as a community to help our environment. If you are interested in working with us, we would love to hear from you. One of the ways you can get involved as a business and make an impact on our environment is by sponsoring a #PlasticPatrol Clean Up. 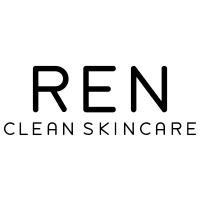 In 2018 we had the privilege to work with brands such as ASOS and Ren skincare. If you would like more information on this option please get intouch. Our Founder Lizzie Carr has been involved in a number of talks around the World, highlighting the Plastic Pollution problem and how #PlasticPatrol has made an impact. For more information and availability please contact us.